Lately, I have experienced dry lips so I thought of getting a lip balm that comes in handy (any brand will do as long as it moisturizes my dry lips). 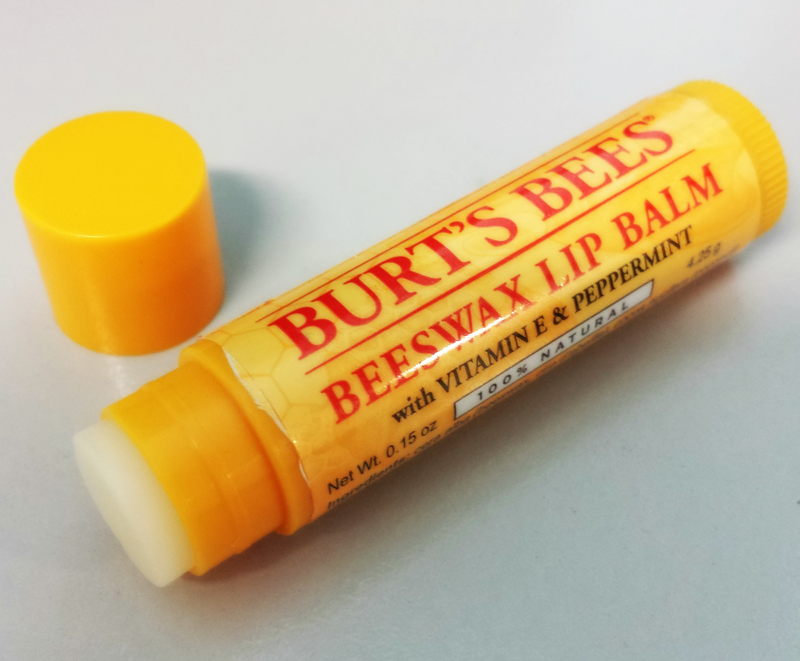 I happened to visit Sephora and chanced upon Burt's Bees Beeswax Lip Balm. It was sold at $8 SGD so I didn't hesitate to pick it up without really minding the different varieties offered. I picked the one with with Vitamin E & Peppermint. The original. The best. And still your favorite. Our must-have balms have been playing in purses and pockets since 1991. Beeswax conditions skin, while antioxidant Vitamin E moisturizes. A final hint of Peppermint Oil provides that one-of-a-kind refreshing tingle. The result? Smooth, supple lips everyone will be buzzing about. Leaves a tingling sensation after application because of the peppermint oil. The tingling sensation is a bit strong for the first 5 minutes, mild on the next 10 minutes and almost gone for the next 15 minutes. It doesn't leave any amount of color to your lips. It can be applied before lip gloss or lipstick. Moisturizes the lips after several reapplications. Its not emollient enough. It does not give me the smoothed and soft lips desired. Somehow I feel that the product just sits on top of my lips because my lips still feels dry after a few minutes of application so I keep on reapplying. It doesn't give a smooth application perhaps due to its texture which is slightly hard. This is my first ever Burt's Bees Beeswax Lip Balm and I was disappointed. I really feel that the petroleum jelly fairs better than this product with regards to moisturizing my dry lips (which is what you really wanted from a lip balm). I don't want to generalized every variety Burt's Bees offers but this Burt's Bees Beeswax Lip Balm with Vitamin E & Peppermint does not work for me. Sorry guys. How about you? What's your Burt's Bees Beeswax Lip Balm experience? Let me know.